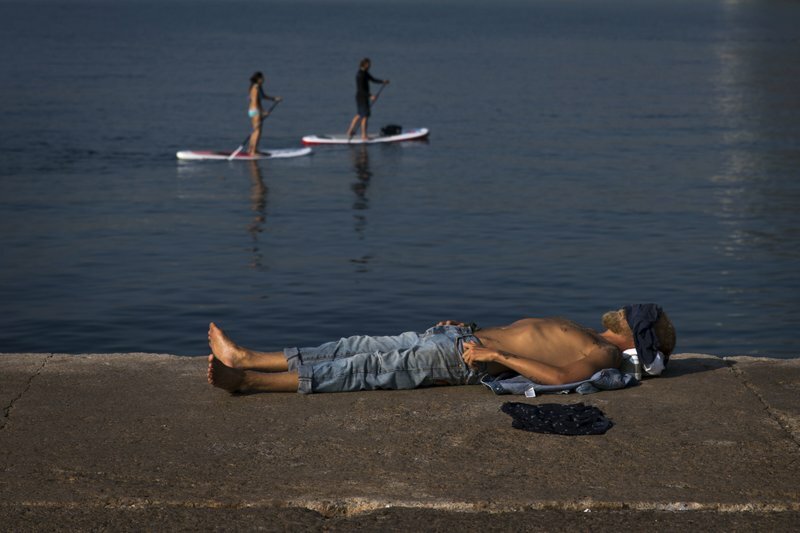 Portugal and Spain were sweltering Saturday under an intense heat wave that has produced near-record temperatures in the southern European countries. Portugal has issued red alerts for extreme heat for more than half the country, with thermometers approaching 46 degrees Celsius (114.8 degrees Fahrenheit). The country’s highest ever recorded temperature was 47.4 C (117.3 F) in 2003. [post_ads]Nearly 700 firefighters and 10 water-dumping aircraft are fighting the biggest outbreak, which has burned 1,000 hectares (2,470 acres) near the town of Monchique in the southern Algarve region. “It’s a very serious situation of extreme heat,” Portuguese President Marcelo Rebelo de Sousa warned. Spain also issued warnings of extremely heat for its southern areas with temperatures expected to reach 45 C (113 F) in the cities of Sevilla, Huelva, Badajoz and Cordoba. Spain’s all-time record of 46.9 C (116.42 F) was set in Cordoba in July 2017. High temperatures contributed to the deaths of two men Friday in Spain, one in Barcelona and the other in the southeastern region of Murcia, according to Spanish authorities. The hot air mass coming in from Africa is also bringing dust from the Sahara Desert, making the sky a dark yellow or dusky orange in places.